This is a game changer! I tried a sample size that I got with my Sephora Beauty Insider points and after just a few days knew that I'd be going back to buy the full size. It's so refreshing in the morning and really makes your under-eyes feel alive! I've also noticed that my dark circles have faded just a bit. This is officially a holy-grail product for me! My feet took a serious beating this summer. Wearing sandals everyday really wore them down and they're in rough shape going into fall. 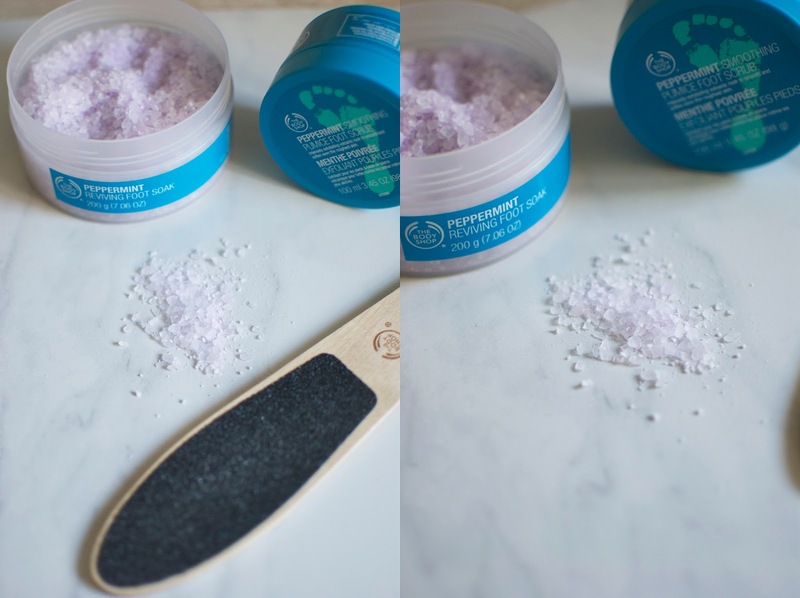 It seems weird to take care of my feet now - it probably should have been a priority in the summer, but I wore sandals every day and nothing seemed to help them! I'm hoping now that they won't be exposed as much that using this set of products will bring them back to life. I've been a lifelong fan of The Body Shop and this line of products is no exception. Not pictured is Cooling Lotion! After all, it's important to take care of your feet - they are what walk you through this exciting life. I don't paint my fingernails enough! 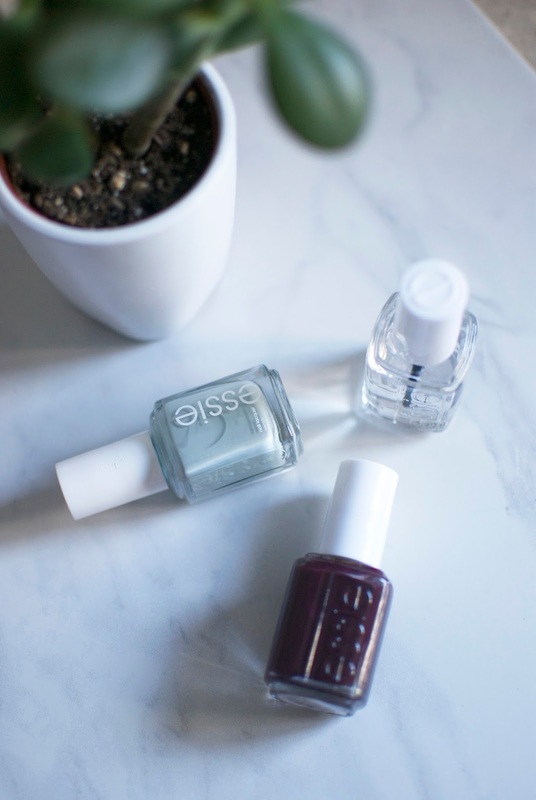 I love what a bit of colour on your nails can do to pull together your entire look. These two colours are front-runners for me this fall. I love the muted green to transition from summer to fall, and the deep plum just screams "put on a cozy sweater, pour a cup of tea, and watch the leaves change colours before your eyes!" One of my not-so-serious "goals" (for lack of a better word) is to paint my nails more often! There are a few Body Shop products here for a few reasons - the first being that when I went to their outlet store it was buy 3, get 3 free, and the second being that I wasn't lying when I said I've been a lifelong fan of their products. I wouldn't say I have problem skin, but more so temperamental skin. I've gone back and forth with spot treatments, from Benefit's boo boo zap! 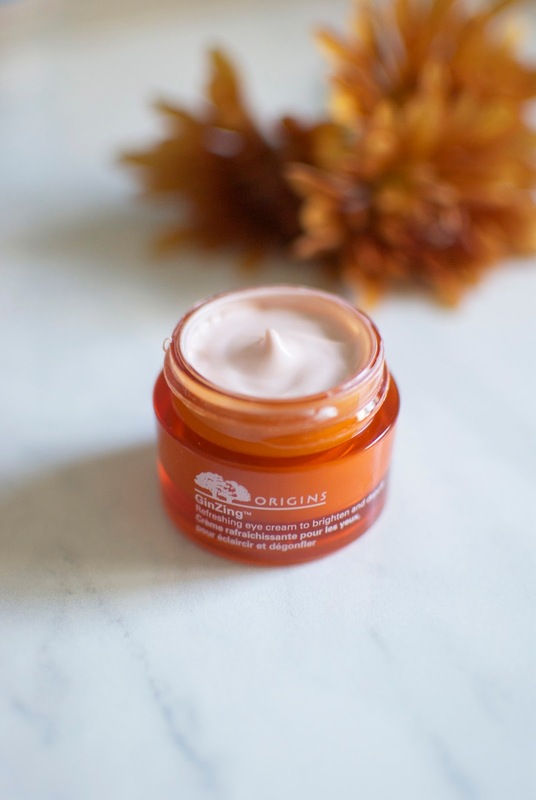 to Origins Super Spot Remover to, believe it or not, toothpaste! 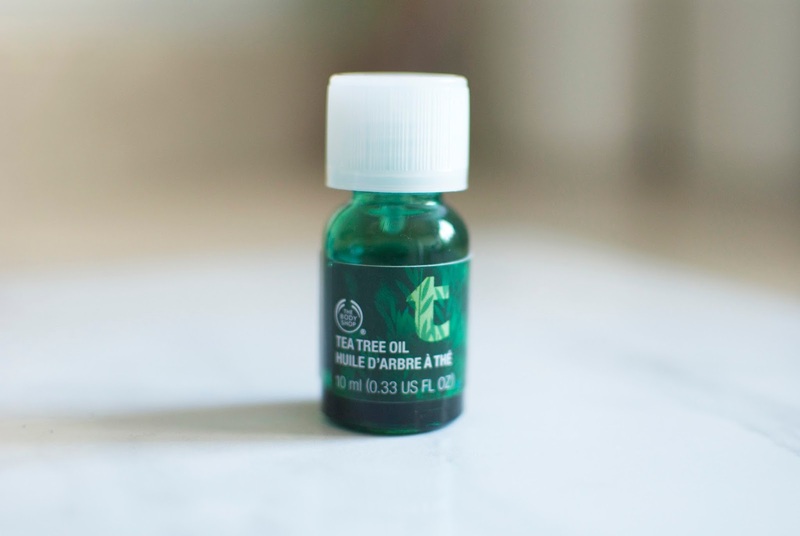 I've tried a lot, but nothing really compares to the tea tree oil. It doesn't dry out the skin around the spot which means I can avoid patchy dry spots, and it has soothing antibacterial properties. An added bonus, it's helping to fade my current acne scars! This is a wonderful product and easily another holy-grail find. 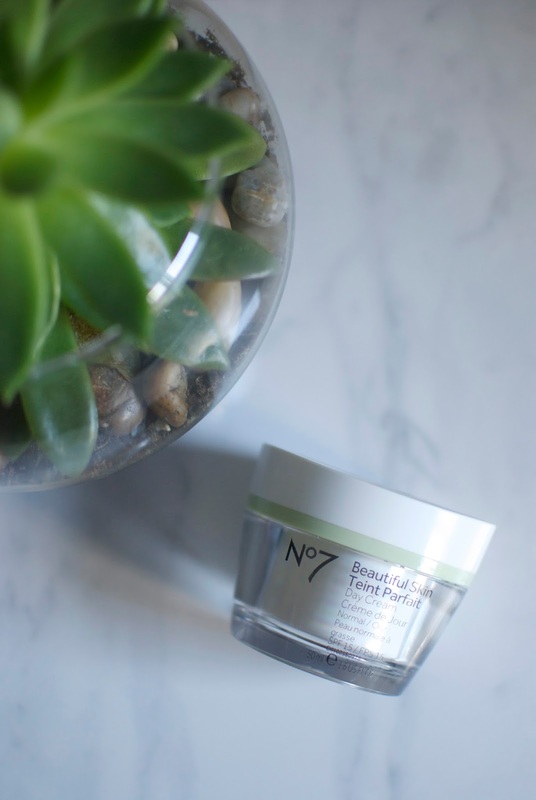 Much like finding a perfect spot treatment, it's been quite the hunt for me to find a good skincare line that agrees with my body and isn't priced exorbitantly high. A friend recommended I try this line a few summers ago and I've been religiously using their foaming cleanser since (with a quick hiatus to give Kiehls a try - I wasn't too impressed.) For a while I just wasn't moisturizing because I couldn't find anything that I really liked, but then one day I decided to give this a go since their cleanser has been so successful for me. I bought the day cream and night cream on a whim and ever since using all three products religiously, my skin has seen a huge improvement. It speaks volumes to me that finding the right product and sticking to a routine could have been the answer to my skin woes long ago! Appreciating make-up and beauty products is a new realm for me, but one I'm really excited to explore a bit more! What are your holy-grail products? Anything you've come to love and can't live without? I'd love to hear about your favourites!